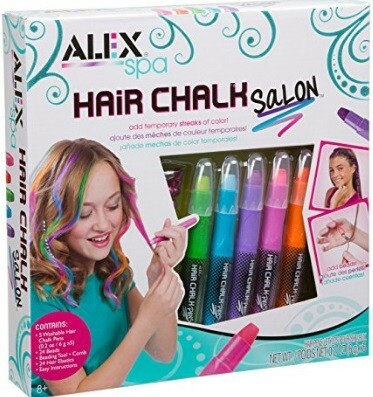 Transform your hair from plain to punk in minutes with vibrant metallic chalk pens. Apply pen color on dry hair and these temporary streaks of hair color are easily removed with shampoo. Hair chalk: Works on all hair colors. 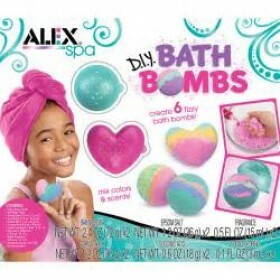 A fun activity for the girls parties and girls night out (or in!). 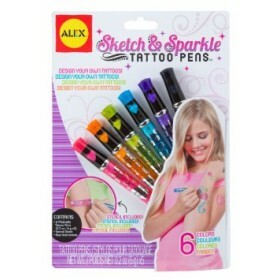 Includes 5 mess-free chalk pens pens, 24 beads, beading tool, comb, 4 hair elastics and easy instructions.